Manhattan, New York, June 2013. 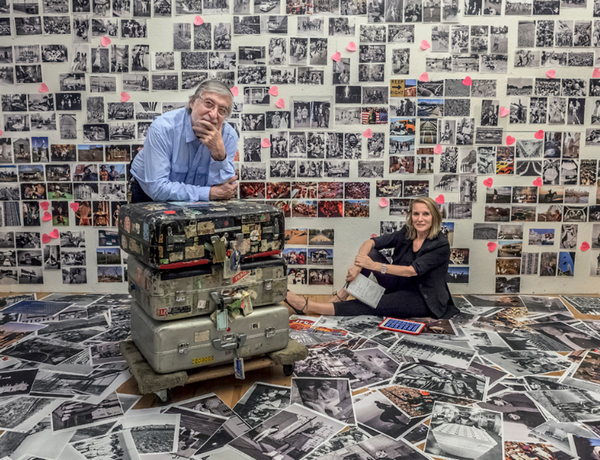 Jean-Pierre and Eliane Laffont in their studio editing the photographs for the book ‘Photographer’s Paradise’. 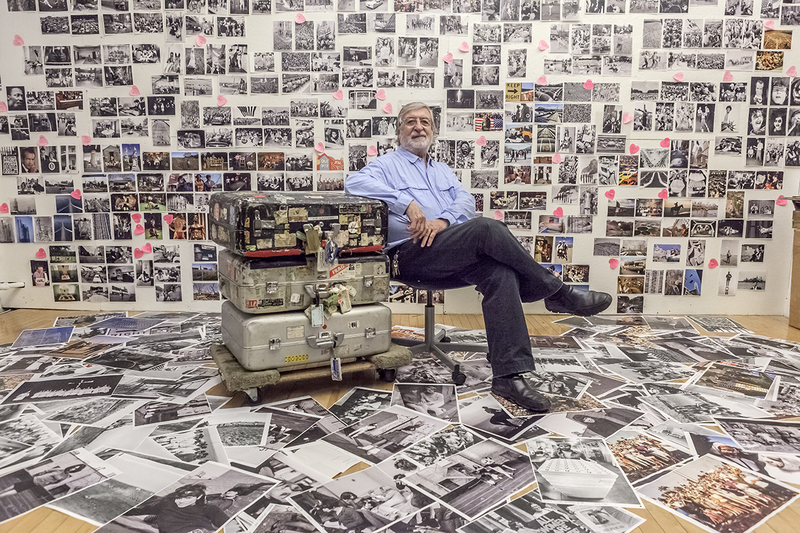 The suitcase travelled around the world with Jean-Pierre Laffont. Photograph by Sam Matamoros. June 25th, 2013. Manhattan, New York. Jean-Pierre Laffont in front of ‘Photographer’s Paradise’ book wall. He sits next to his suitcases that travelled around the world with him. Photograph by Sam Matamoros. Born in Algeria in 1935, I began my career assisting legendary photographers Sam Levin and Choura, renown for their portraiture and fashion photography. It was their versatility behind the lens that inspired me to readily adapt to any situation – whether it be capturing hidden moments on the movie sets of MGM Rome, or documenting the Ku Klux Klan.